Home > Crystal D Collection > Picture Plaque Walnut Finish 15"
The Picture Plaques are made in the USA! 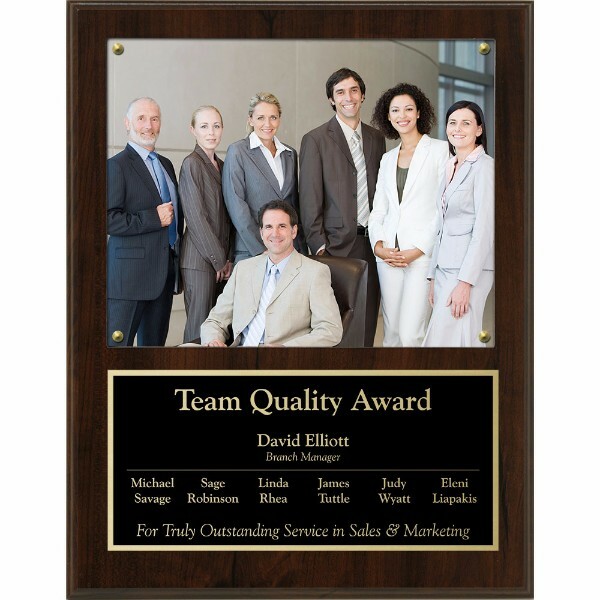 This plaque features a classic walnut finish and elegant laser-engraved plate. Choose this award for your next recognition occasion!